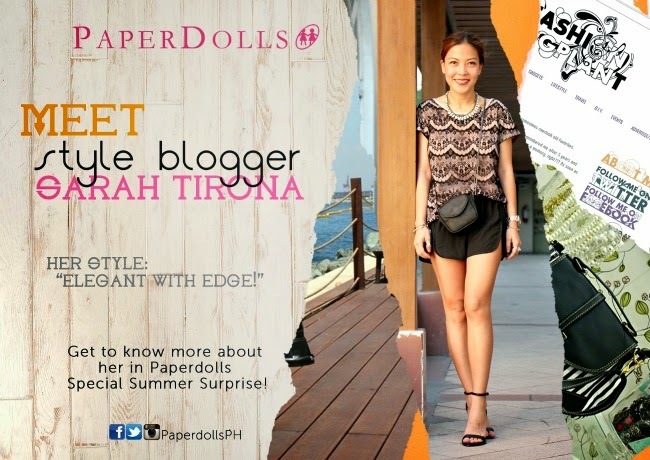 How does a new summer wardrobe worth P3,000 from Paper Dolls sound? Support me and my fellow bloggers! Join Paper Dolls' My Favorite Summer Doll Contest for a chance to win P3000 worth of Paperdolls gift certificates that you can spend any way you like. 5. The 3 Grand Winners to be randomly picked from the top three Favorite paperdolls gets a chance to bring home a Php 3,000 worth of Gift Certificate each from Paperdolls.